(Via @videomageu) Marquis Broadcast, experts in content workflows and media integration software, has announced that it has been selected as an Avid® Alliance Partner and that Marquis’ Project Parking, which is used around the world to cost effectively manage Avid storage, has been certified by Avid and will be distributed through Avid’s sales channels. “This is a major development for Marquis,” confirms Chris Steele, Managing Director, Marquis Broadcast. “Over the years, we have developed Project Parking to become a complete Avid storage management solution. It has been used around the world to archive, move and restore Avid projects and to analyse and manage media to optimise Avid storage utilisation. Project Parking analyses all Avid projects and media to identify which projects are using up most space and then take appropriate action to transfer, archive or delete. We are delighted now to join the Avid Alliance Partner program to help more customers manage their Avid projects and media. FilmLight today announced a new collaboration with longstanding collaborator, Avid®, which will see both companies introduce a new Professional Colour bundle for editors at NAB2016 (18–21 April, Las Vegas Convention Centre). FilmLight first showed Baselight Editions on Avid Media Composer® at NAB2012 and since then the two companies have worked closely to improve interoperability between their products, helping editors and colourists to tell great stories through beautiful images. This new venture is yet another example of FilmLight’s commitment to providing solutions that address the growing demands for perfect colour control throughout the professional post workflow. The Professional Colour bundle brings together Baselight for Avid – which delivers the world’s most powerful colour grading toolset – with the industry’s preeminent editing system Avid Media Composer in one single package. Immediately available on Mac or Windows for $1,799, the bundle makes it even easier for editors to increase their finishing capabilities, directly within their NLE system. 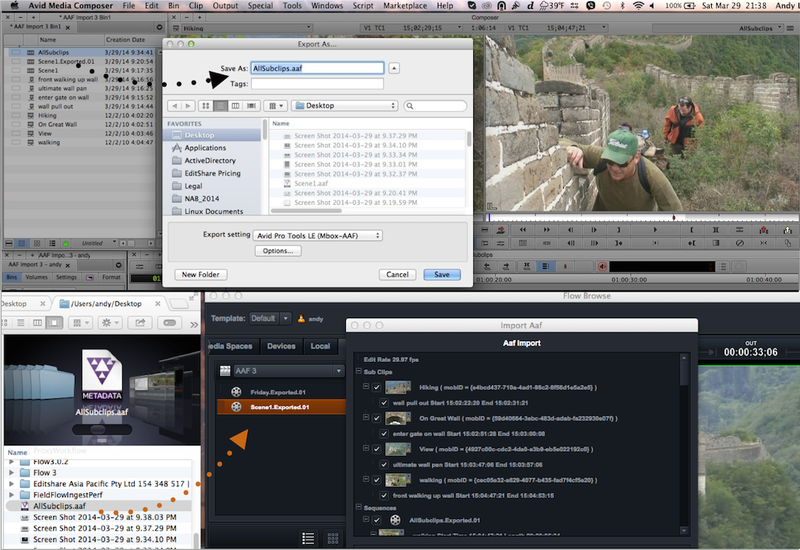 Baselight for Avid is a real-time plugin, so colour corrections can be played directly on the Avid timeline. It provides unlimited primary and secondary grades in a single layer, including mattes, automatic object tracking and full keyframe animation. As well as using modified AAF files to exchange grades, Baselight for Avid shares the same BLG colour metadata as all systems in the FilmLight range, so projects can be transferred and shared between on-set, near-set and the grading suite without rendering, and with the latest grade always available in editorial for a powerful and fast workflow. The BLG format carries sophisticated grading data including secondary colour correction, shapes and tracked objects. And, as the grade metadata is fully modifiable throughout the process, workflow efficiency is greatly improved as corrections and last minute changes can be made directly in Media Composer, with no need to return to the full Baselight suite. FilmLight will be exhibiting Baselight for Avid at NAB2016 on stand SL3829. The plugin can also be seen on Avid’s stand (SU902), during the main presentations as well as on every single Media Composer workstation.